The Seymour Duncan Psyclone Hot Pickup Set includes the Psyclone Hot Bridge pickup and the Psyclone Hot Neck pickup in a matched set. The Seymour Duncan Psyclone Hot pickups are supercharged recreations of the Filter'Tron style pickup from the 50's and 60's. The original Filter'Tron pickups had a very distinctive tone that is faithfully reproduced by the Seymour Duncan Psyclone. The Psyclone Hot pickups are built with tighter pole spacing, overwound coils with a higher DC resistance and Alnico 5 magnets, which combine to provide souped-up output, a punchier midrange and tighter bottom. These pickups are great for rock, new wave and punk. The Psyclone Hot Neck pickup is matched to Psyclone Hot Bridge pickup, which is wound hotter for balanced output and a fuller tone. Each Psyclone pickup is hum-cancelling, and includes a shielded single conductor lead wire. 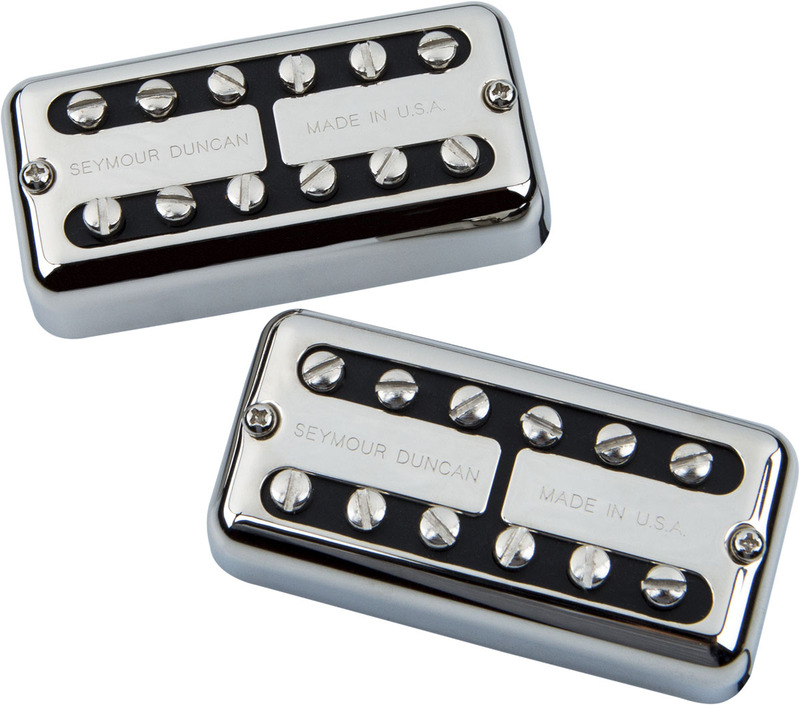 These Filter'Tron style pickups were originally available only through the Seymour Duncan Custom Shop. Seymour Duncan takes special care to ensure that these pickups are accurate reproductions of the original Filter'Tron models, and are designed as drop-in replacements for any guitar originally routed for Filter'Tron style pickups. Includes hardware for either direct or trim-ring mounting.